On October 19, 2015, the Second Circuit issued an opinion regarding the constitutionality of the SAFE Act/Act Concerning Gun Violence Prevention legislation in New York and Connecticut, upholding the lower court’s decision that a seven round magazine limit was arbitrary but otherwise affirming the constitutionality of the legislation. In New York State Rifle and Pistol Association, Inc. v. Andrew D. Cuomo, Nos 14-36-cv (2d Cir. Oct. 19, 2015), the Second Circuit addressed a lawsuit filed by the plaintiffs (a combination of advocacy groups, businesses, and individual gun owners) against the governors of New York and Connecticut and other state officials relating to gun-control legislation enacted in New York and Connecticut. Plaintiffs sought declaratory and injunctive relief, asserting that (1) the subject statutes’ prohibitions on semiautomatic assault weapons and “large-capacity” magazines violate their Second Amendment rights and (2) provisions of each statute are constitutionally vague. Plaintiffs also challenged the seven-round magazine limit in New York as a violation of the Second Amendment. The lawsuits were originally filed in the Western District of New York and the District of Connecticut. Both Courts, however, granted summary judgment to the defendants regarding the constitutionality of the statutes. The Western District of New York did invalidate New York’s separate seven-round load limit. The plaintiffs appealed the rulings and the defendants filed a coss-appeal related to the seven-round magazine limit. In holding that the core provisions of the New York and Connecticut laws prohibiting possession of semiautomatic assault firearms and large-capacity magazines do not violate the Second Amendment, the Court affirmed the prohibition and found that the laws were not void due to vagueness. The Second Circuit did find that the prohibition on the non-semiautomatic Remington 7615 was unconstitutionally infringing upon their Second Amendment rights. Additionally, the Court invalidated the load limit. Going to the root of the decision, the Court rationalized that the laws neither implicate the core protections of the Second Amendment nor substantially burden their exercise and, therefore, do not receive heightened scrutiny. The Court followed the lead of other courts, including the D.C. Circuit, in applying intermediate scrutiny. Ultimately, the Court found that because the prohibitions are substantially related to the important governmental interests of public safety and crime reduction, they pass constitutional muster. 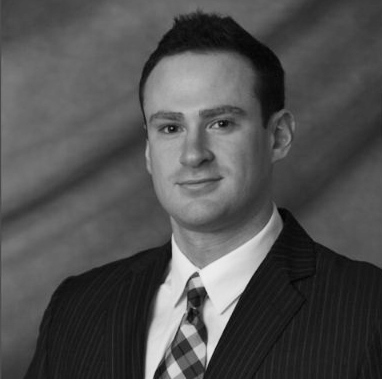 Michael is an associate with Pisciotti Malsch, and his practice includes general liability and product liability matters.